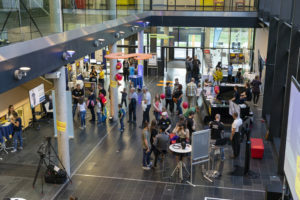 Every two years Austria’s research institutions open their doors for the Long Night of Research and present their science, research, and innovation to the general public. 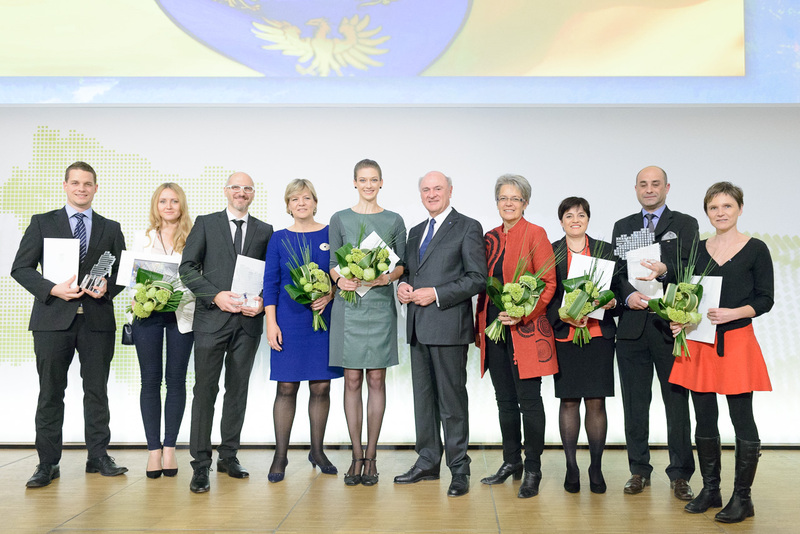 The eight Long Night of Research took place on Friday April 13, 2018 at 265 locations all over Austria. 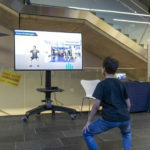 More than 500 people visited the FH St. Pölten, where 23 stations presented research projects with a focus on digitalization and its effects on work, mobility, health, and society. 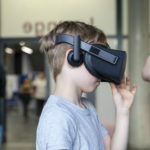 Particular highlights of the evening were 360° virtual reality installations, the immersive art research project “Wearable Theatre”, and pitches by start-ups. 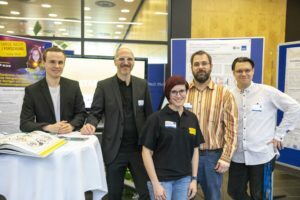 Our VALiD project team presented the netflower prototype and related work in Visual Analytics at the Visualization Corner. 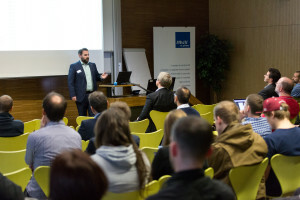 In February we were invited to a talk about data journalism and visualization at the OÖ Presseclub. A follow-up workshop of our empowerment workshops series was held in cooperation with the OÖ Presseclub in Linz on the 13th of March. During this workshop, we gave a short overview of the tools and working practices of data journalists as in the workshops in 2017. 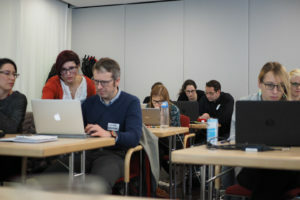 For this workshop in Linz, Katrin Nussmayr, an Austrian data journalists, was again our role model and lead mentor. Eleven participants (6 women, 5 men) with different levels of experience in data journalism and visualization attended our workshop. 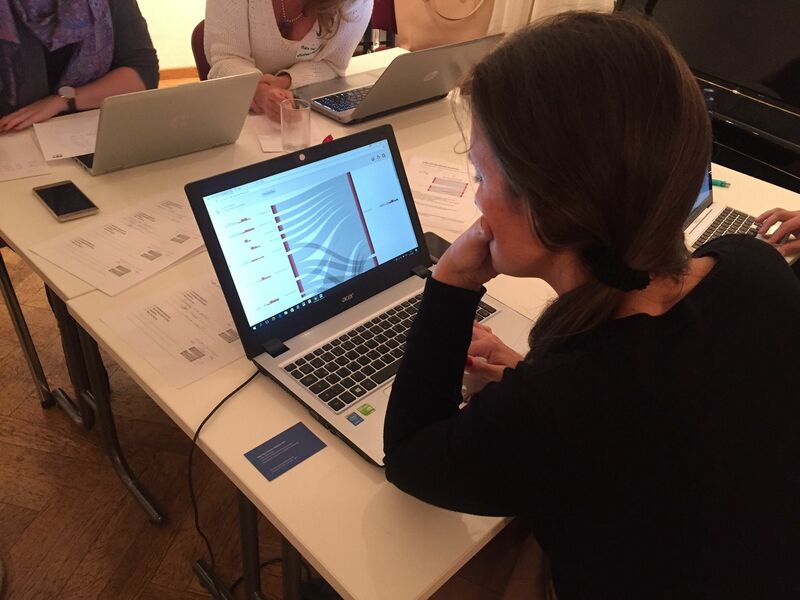 The motivation of the participants was impressive and they created a lot of very interesting data visualizations in this half day workshop taking place in the rooms of the OÖ Presseclub. We would like to express our thanks to Mag. Daniela Hainberger for hosting us at the OÖ Presseclub and providing snacks and drinks. For all of you who were not (yet) able to participate in one of our workshops: we plan to host a final workshop in autumn 2018. Follow us on twitter and subscribe to our newsletter in order to not miss out on this great opportunity! We are continuing our mission to encourage the spread of Data-driven journalism and to empower journalists to embrace their inner data nerd. 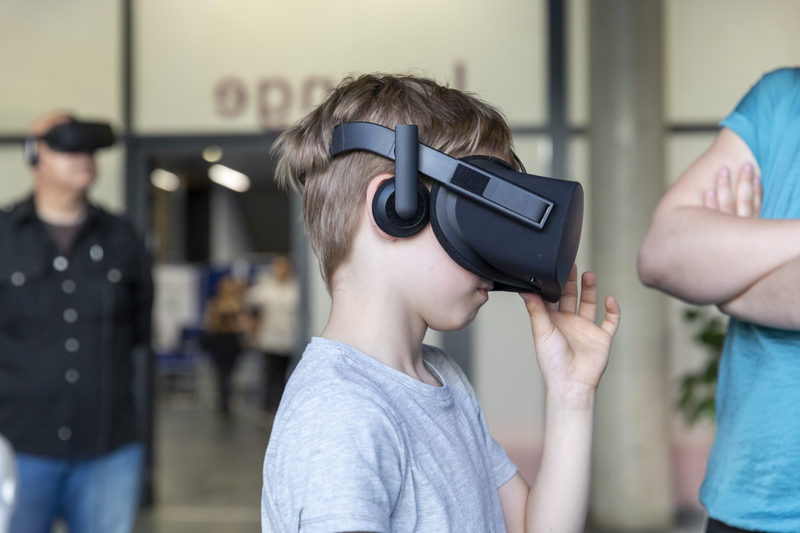 After our first two workshops in Graz and Vienna last year went well, we’re now moving to yet another Austrian city: The next workshop will take place on March 13th in Linz, Upper Austria, as a cooperation with the OÖ.Presseclub (Upper Austrian Press Club). 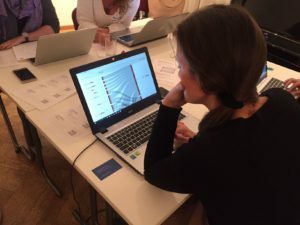 Austrian data journalist Katrin Nussmayr will reprise her role as a mentor and role model to empower and encourage female journalists to venture into the field of DDJ. Participation is free of charge, the language of the workshops will be German, in accordance with the target group. Want to register for participation or find out more? Go to our designated Workshops page (German). Two half-day workshops were organized for journalism students and journalists in autumn 2017 with the aim to spread data journalism as a practice, and to make the topic more accessible to journalists, who would not primarily describe themselves as “technophile”. 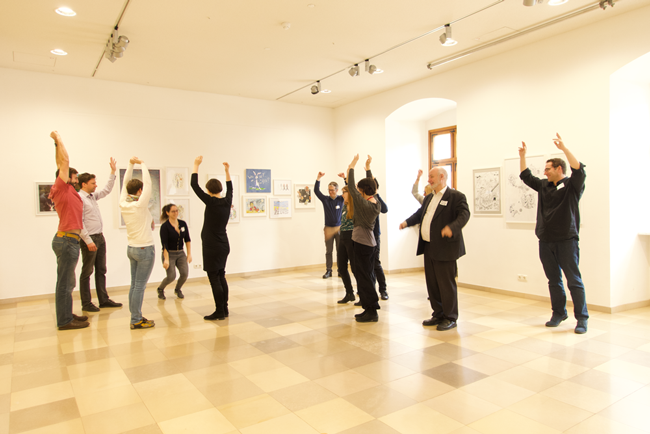 The empowerment workshop series developed as part of the VALiD project took place in October 2017 in Graz (for both genders) and Vienna (women only participants). During these workshops, we gave a short overview of the tools and working practices of data journalists. Katrin Nussmayr, an Austrian data journalists acted as a role model and was the lead mentor of our workshops. 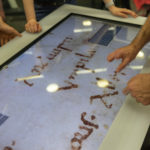 The workshops were designed using the free data visualization tool Datawrapper and the prototype Netflower, a tool for interactive data exploration, developed by FH St. Pölten in the VALiD project. The used datasets (e.g. UNHCR refugee statistics) were selected by the mentors of the workshops. 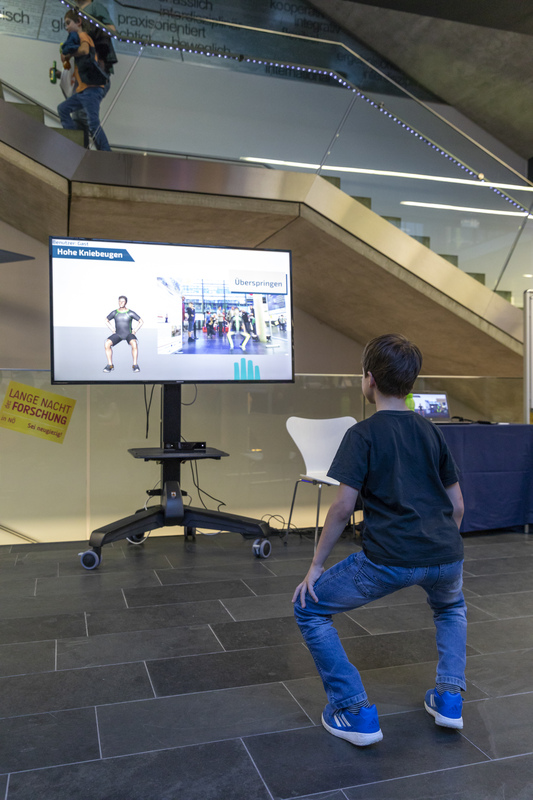 In teams, supported by mentors the participants had the opportunity to “play” with different datasets. The handling of the tools and background knowledge to question the data are both essential in dealing with huge (unstructured) data. Working with the groups was quite challenging because the participants developed their own ideas to ask the data. 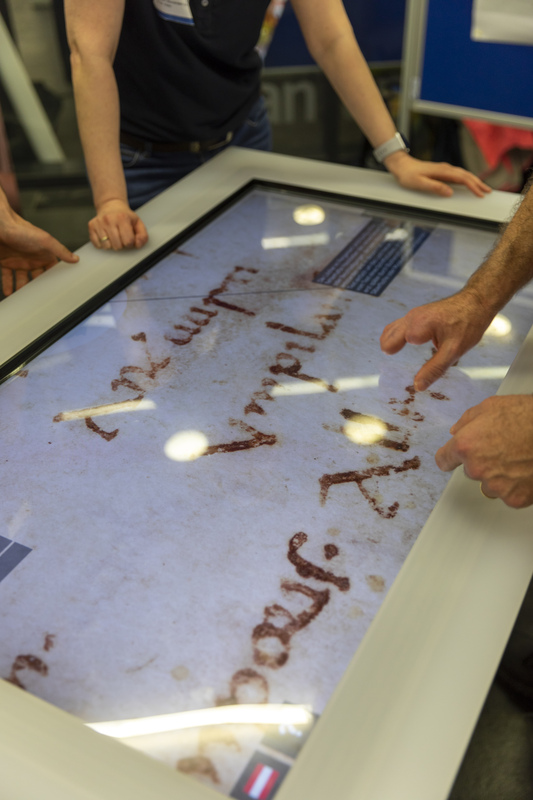 After preparing and cleaning the data sets, the interactive visualizations were quickly created. 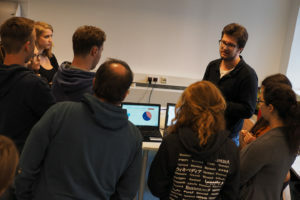 The participants presented their results as a show and tell session at the end of the workshop. Eight journalism students attended the first workshop in Graz on 6th October 2017. This workshop served also as a proof of concept. Not only the participants, also the mentors got new insights (e.g. for tool development) and learned a lot. Part of our project’s mission is to encourage the spread of Data-driven journalism, and to make the topic more accessible to people, who would not primarily describe themselves as to be “technical”. Therefore, we are holding a series of four workshops – two this year, two in 2018. The goal is to teach (future) journalists basic DDJ skills, as well as to convey lessons of data ethics to foster a dutiful application of data in their inquiries. Empowering future female data journalists: Two of the workshops will be for female and non-binary participants only, and we could get Austrian data journalist Katrin Nussmayr to act not only as a lead mentor for both 2017 workshops, but also as a role model to empower and encourage female journalists to venture into the field of DDJ. The language of the workshops will be German, in accordance with the target group. Find out more on the designated Workshops page (German). Analysis of large sets of information has increasingly being outsourced to computers and algorithms. But analysis of spoken (or written) content is much more complex that that of numbers. 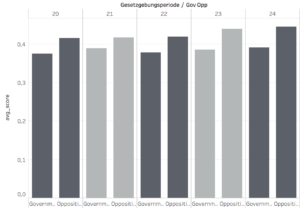 We accepted the challenge to analyze the sentiment of Austrian representatives – and have come up with the first results. 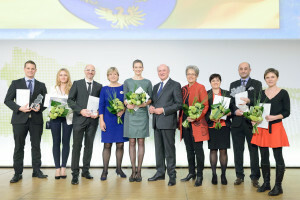 The minutes of the Austrian Parliament are published on published on its homepage. The initiative “Open Parliament” is working on making this information more readily available to the public. Our goal was to analyze these minutes in depth. For this a broad set of skills and know-how is needed. 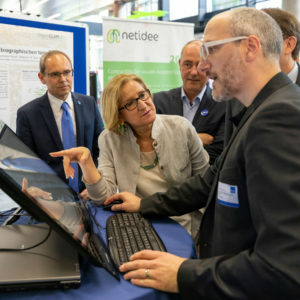 Within the research project VALiD, a cooperation between the University of Applied Sciences St.Pölten, the University of Applied the Vienna University, the FH JOANNEUM – University of Applied Sciences and the drahtwarenhandlung, just these skills are combined. The aim of this project is to analyze information over the course of time. For this we developed Natural Language Programming (NLP) algorithms which we then applied to the parliamentary speeches of the past 20 years. This gives us the ability to not only count “words” (e.g. which party has the most interjections, which representative is talking the most, when are what topics being discussed) but to analyze content. Together with political scientists (also from Vienna University) we developed algorithms which are trained to identify negativity. I.e. classify sentences according to their negativity between 0 (not negative) and 1 (very negative). This process, called sentiment analysis, is a very complex one, as language is much more complicated to understand than numbers (e.g. sarcasm). In addition the German language is even more complex than the English – for which the majority of NLP theory exists. Also, we had to find out that even humans cannot reliably agree on what “negative” is. Frequently different individuals rated the same sentence with not negative and very negative. But soon we could show that out classifier worked not only stable, but also produced meaningful results. In the meantime these have been presented at the ECPR-conference (European Consortium for Political Research) in Nottingham with a second paper already accepted for the ICA in San Diego (International Communication Association). The first theses we tested were very simple. 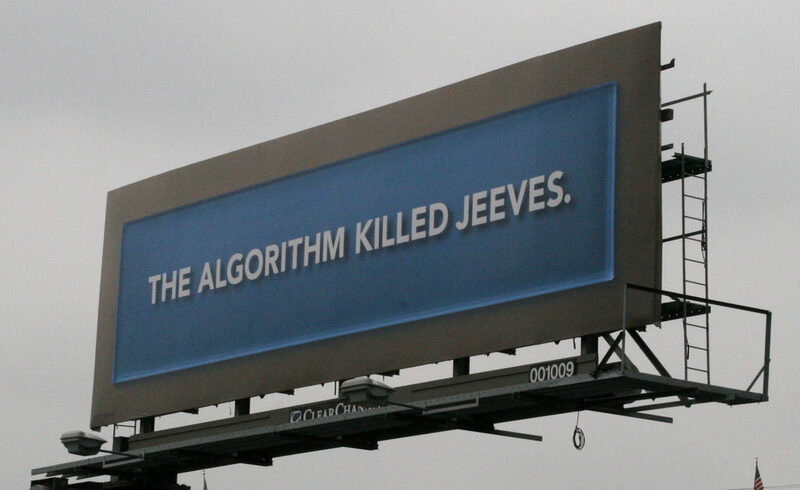 The idea was to use this thesis for verification of the algorithm. For example that Ewald Stadler’s speeches, a notorious politician, will rank among the negative ones. Or that opposition parties will be more negative than the government. For both, our classifying algorithm showed positive results. Ewald Stadler did not only make it into the Top 10 od negative politicians. He made it into the Top 10 twice (note: he changed party affiliation during his career). Next, it was about testing more complex theses. One was the change of negativity over the course of time. The thesis was that negativity increases prior to elections and decreases during the period of governance. This was as well supported by the algorithm. Hence it was now to use the algorithm to really analyze the data. 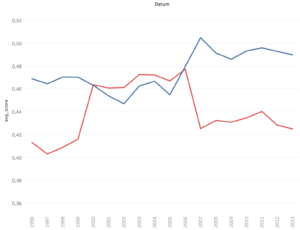 One of the findings was that the speeches of the SPÖ (social democratic party, left wing) significantly increased in negativity during the time as opposition party (2000 – 2008), only to drop to pre-opposition levels once again in government. 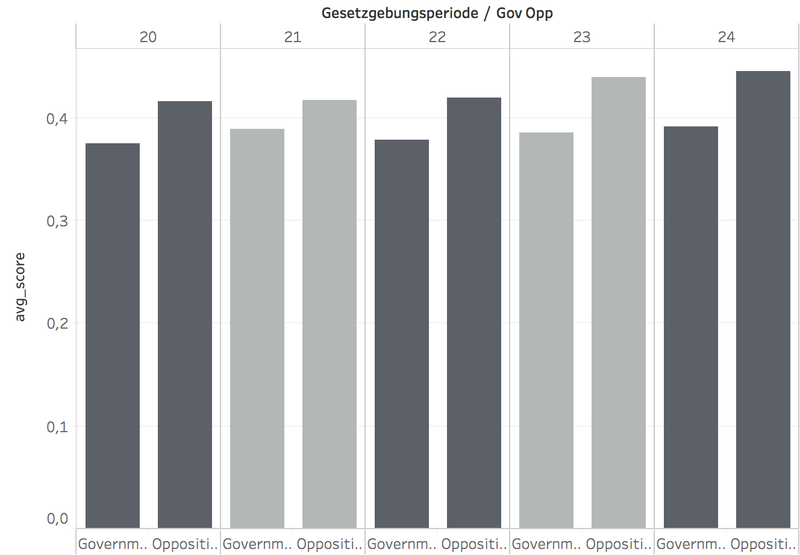 The FPÖ (freedom party, right wing), in contrast, did not diminish in negativity while in government during that time – but had a sharp increase when again in opposition. But computational analysis can go even further. 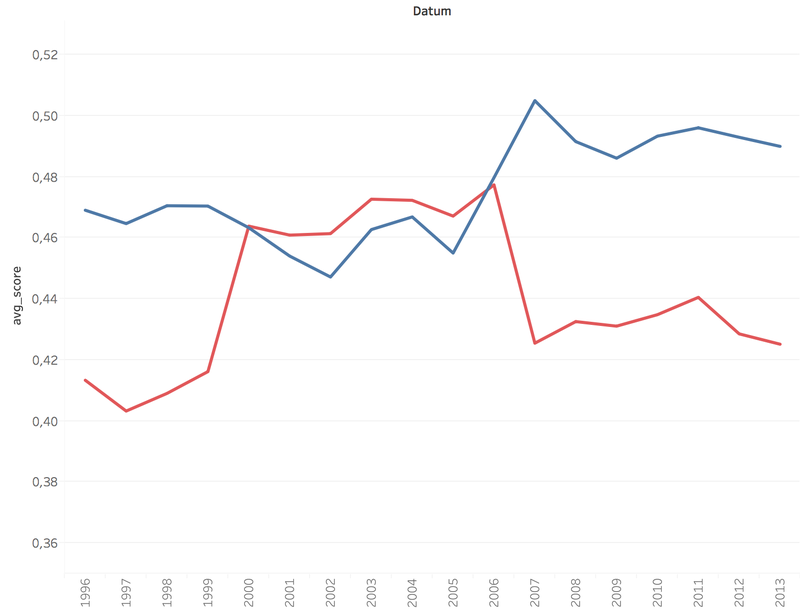 We compared the debates of the last decades and could show that it’s predominantly the “big topics” which cause emotions (among politicians). Of the 25 most negative debates 15 can be assigned to only three topics: the financial crisis, the Eurofighter-purchasing and the early elections surrounding the FPÖ-ÖVP-BZÖ-coalition. Even though these are only the first results which we could produce with our classification algorithms, they appear to be very well founded. And they hold quite a potential. In the next months we will further evaluate the algorithms and expand them. Our plan is to add other sentiment to the classifier and also to conduct more analysis. And, as we set out to develop a tool which serves public interests, we also intend to publish the findings in cooperation with media. If you like this project, we would be happy if you share it with friends. 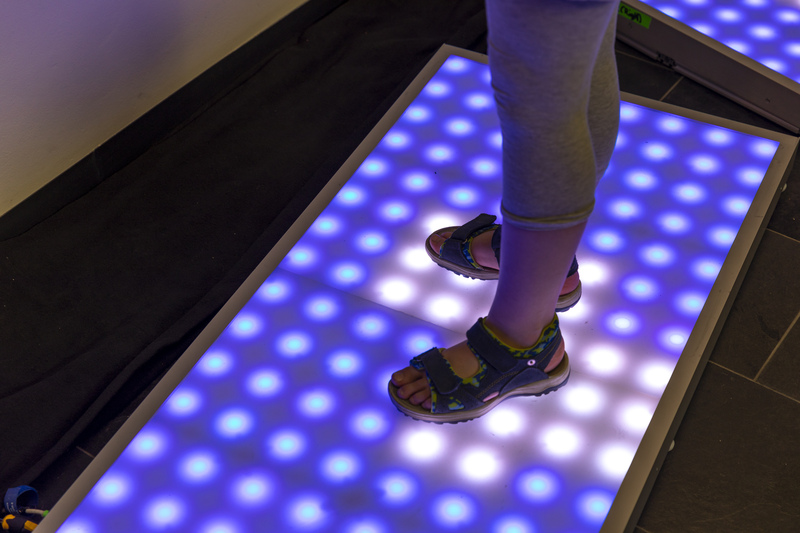 And if you have any ideas for further analysis of the data, we would love to hear from you! This article was first published by die drahtwarenhandlung and re-printed here with permission. Last week the 5th consortial meeting of the VALiD research project took place, hosted by the FH Joanneum in Graz on Thursday. The key topics of the meeting were revolving around machine-learning algorithms used for natural language processing (NLP). One core question was how the project’s comprehensive database of political speeches could be better explored with sentiment analysis. Sentiment analysis, the classification of text based on the sentiment of the content (polite, incivil, ironic, …), is a science on its own. To make matters worse, the majority of the research is focused on the English language, which is one of the simpler languages. Hence the methods and approaches for German, which is more complex, are technically far less mature. Another hot topic was if and how far the algorithms and the data used to train these, are subject to gender & diversity bias. While this topic has reached the science community, its full implications are still not being grasped to the full extent. Here is a highly recommended read on this increasingly important topic! Due to the nature of the meeting (i.e. the whole research team getting a thorough update and discussing the next steps) there were no detailed solutions elaborated. Nevertheless the discussions spawned useful inputs for further work. 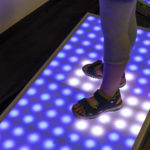 We are looking forward to implement and test these ideas, and first results seem to be very promising. Time will tell how reliable these results of the sentiment analysis are – and if and how the methods can then be used in practice. 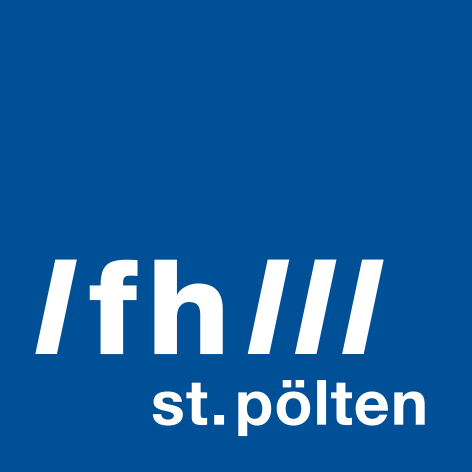 From 23rd to 24th November, the 9th forum media technology conference was held at St. Pölten University of Applied Sciences. 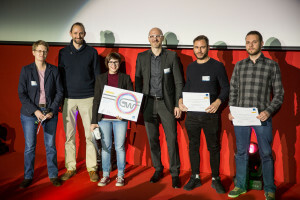 Alexander Rind, David Pfahler, Christina Niederer and Wolfgang Aigner received the Best Paper Award for their paper “Exploring Media Transparency with Multiple Views”. The paper was written in cooperation with David Pfahler from TU Wien and the VALiD project team from St. Pölten University of applied sciences. 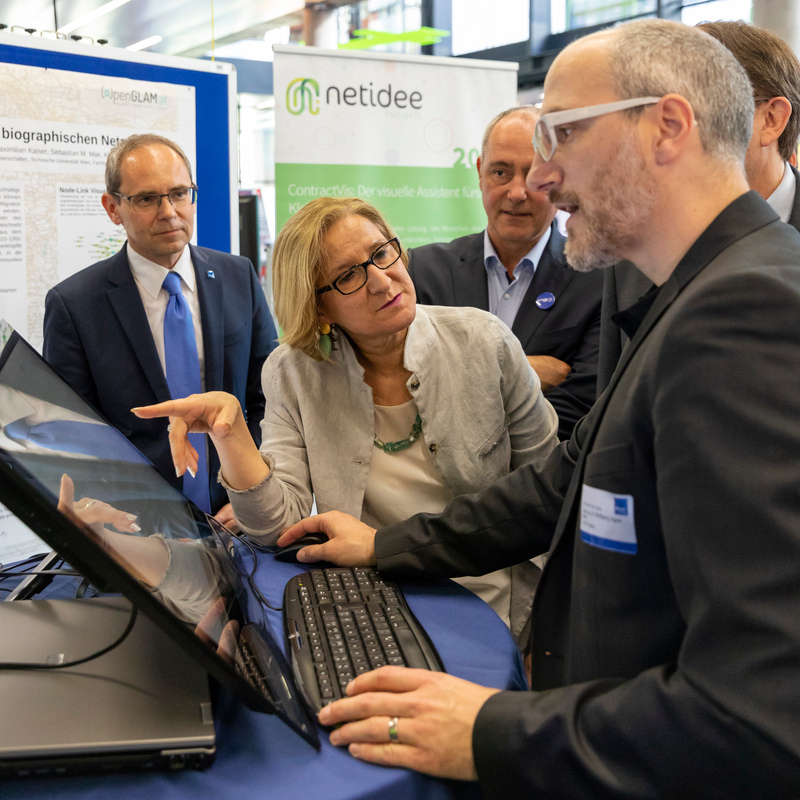 The basis for this research work was the Media Transparency Dashboard, an interactive visualization tool for open government data on media transparency in Austria. 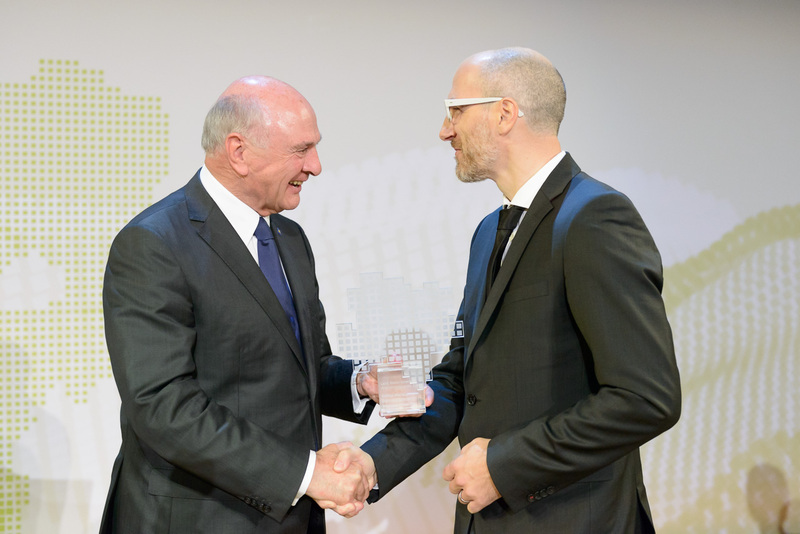 On October 13, at the gala night of science in Grafenegg, Wolfgang Aigner received a scientific recognition award from the governor of Lower Austria, Erwin Pröll. The award recognizes Wolfgang’s scientific contributions to the field of Visual Analytics as compiled into his habilitation thesis “Interactive Visualization and Data Analysis: Visual Analytics With a Focus on Time”. We congratulate our project lead on this achievement!